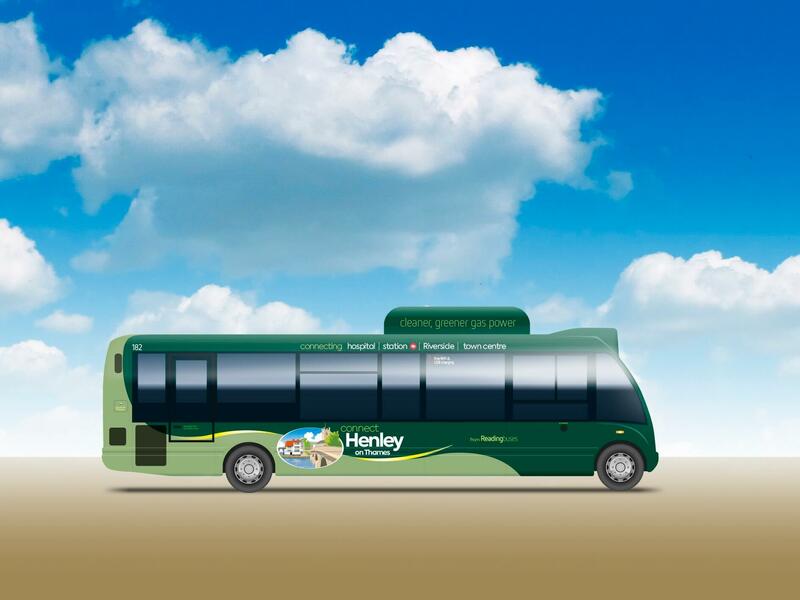 Reading Buses will run bus services under the name Connect Henley-on-Thames under contract to Henley Town Council. The company held a launch event with Henley Town Council on Saturday 4 August and started operating the service on Monday 6 August. Reading Buses had an information stand outside the Town Hall where questions about the bus and the routes could be asked. It will be running the routes with a single-deck bus powered by compressed natural gas. Route 151 runs from the Market Place in central Henley to the west of Henley using Deanfield Road, Elizabeth Road and Greys Road before returning to the Market Place. Route 152 runs from the Market Place to the south of Henley using Thameside, Henley-on-Thames station, Reading Road to Tesco Superstore, then St. Andrews Road, Blandy Road, Makins Road and Greys Road before returning to the Market Place. Route 153 runs from the Market Place to north Henley via the hospital. There will also be a route 145 between Woodcote and Henley for Gillotts School, and more information can be found on the company’s website: www.reading-buses.co.uk. Tony Pettitt, Reading Buses Chief Finance and Information Officer, commented: “We are delighted to be running the buses in the historic and beautiful town of Henley-on-Thames. “We are looking to bring all our expertise to the town and help convince more and more people to leave their cars at home and travel by bus, thus alleviating congestion in Henley.